I am first, a writer, second, an artist, and third, a musician/singer songwriter. Because I’m so busy writing, I don’t often get to my artwork. However, I am able to listen to music even though I don’t have time to create my own songs much anymore. Music inspires me though and drives my writing. Which brings me to Sam Bradley and Marcus Foster. Due to a flurry of travel and business meetings, I have missed seeing my favorite Brit musician/singer-songwriters Sam Bradley and Marcus Foster on tour in the U.S. this spring. And it has been frustrating because I really love these guys. I love their music. Their wit. Their personalities. Their performances. Their friendships. Fans have been sending in pictures, videos and reports of their shows and I’ve been grateful. Taking this one step further, I’ve listened to their music and used my imagination to “Dream in Music” with Sam and Marcus. In doing so, I have traversed the terrain to enter into new realms of heart, new realms of adventure, and a new realm of awareness about these 2 artists. Listening to Sam Bradley’s music is like taking a ride on a roller coaster without holding on…with your hands high over your head. It’s a thrill. You’re giddy and giggly. You swoon, you dance, you cavort. His music is punched with melodic sounds and soulful insights. It's breathtaking, surprising, and takes you beyond the ordinary. And when I dream in music with Sam, the experience is even more multisensory because dreaming is multidimensional. I hear his voice – like colors lilting on the wind – singing Details, a song that’s featured on his EP, Zuni, (a top-of-the-charts song on iTunes). The lyrics transport me to a non-ordinary dream world where angels and devils roam freely. Heaven and hell, upside down…angels wishing you well when they put you in the ground…sending you further down….I stumble over a large over-turned tree lying gutted, roots exposed to the sky and it feels like a knife plunges through my solar plexus. But it doesn’t hurt. I don’t bleed. I am the angel in an upside down world…And I run faster now, swept into a vortex of thoughts and feelings. Details offers an intimate glimpse of that life or death feeling and demonstrates Sam’s development as a songwriter. It shows how he takes ephemeral moments and places them at the crossroads, where music and the darker corners of the human heart intersect. 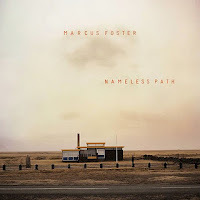 Listening to Marcus Foster’s music is like dropping through a trapdoor in a barn loft that’s covered with prickly hay, and falling headlong into a featherbed floating in air. When I dream in music with Marcus, I hear “I Was Broken"…I am running and swishing through golden wheat fields and the wind is rushing at my back and I fall into the sky where I meet up with the moon and stars. And they make me whole again. I am not sure I want to wake up. Dreaming in music is like the air that I breathe and loving music along with the artists, Sam and Marcus, is like an intimate relationship. Because music is intimate. It is where these artists give it their all – love, time, energy, blood, sweat and tears because music is who they are. It’s as important as the air they breathe. And we friends and fans love them back as hard as we can. Since Sam and Marcus have known each other since Sam was eight years old, they’ve been BFFs and their camaraderie during this short U.S. tour is ever-present. 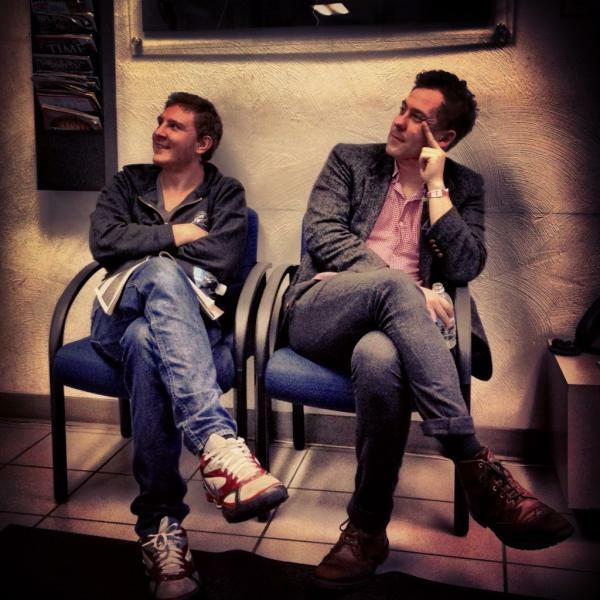 From all the fans’ stories, pictures and videos, these two Brits display that they’re down-to-earth good souls, silly goofballs, and self-deprecating at every turn. They’re comedians. And at the same time, they’re skilled, soulful musicians who really bring it when they perform on stage. And when they're not on stage? Well, let's just say traveling cross-country in a van isn’t for the faint of heart. It can be brutal and make even the toughest of souls cranky. (Anyone remember Oprah Winfrey and her bestie Gail when they did their road trip one summer in the U.S.? They bickered and got on each other’s nerves like crazy). But not Sam and Marcus. They’re easy-going and fun, and they’re serious about music because that’s where their hearts are centered. When we are centered in our hearts, when we act in accordance with our truest nature, we access and express who we are. We do it automatically, creatively, and consistently. Growing is a process of strengthening and healing cracks in our lives so we can encounter and embrace our destiny. And that’s evident in Marcus and Sam’s songs. Their music heals the cracks in our lives. And it is their destiny. Our destiny is to know them, appreciate, support and embrace them. Most of us are not raised to actively encounter our destiny. We may not even know we have one. We may be doing what our parents told us we should do, or what society expects of us. As children, we are seldom told we have a place in life that is uniquely ours alone. Instead, we are encouraged to believe that our life should fulfill the expectation of others. We are brainwashed into listening to others’ versions of ourselves. When we survey our lives, seeking to fulfill our destinies, we often see we had a dream that went glimmering off into the ethers because we believed that dream was beyond our reach. Many of us would have been, or at least might have been, done, tried something, if . . . if we had known who we really were. Thank God for Lee Lindsey, Sam’s mum, (a singer-songwriter in Vancouver and Britain) and for Mrs. Foster, Marcus’s mum. Thank God that Sam and Marcus have families who encourage them to live and dream in music. Their U.S. tour is almost over. And soon, Sam, Marcus and Marcus’s talented and lovable keyboardist, Jack Standen, will be going home, away from the fans where they'll go back to recording and writing songs. (I’ve gotten rave reviews about Jack at the shows! Seems like the girls really love him!) Sam and Marcus’s next show is Monday, April 16th at Ninth Ward in Babeville, Buffalo, New York. Go see them, everyone…And, when you can’t be at their shows, listen and dream with them in music! You might just open up to worlds you didn't know existed! Yes, I am first, a Writer, second, an Artist, and third, a Musician/Singer-Songwriter. And above all of these, I am a Dreamer. Please visit Marcus Foster’s website at: Marcusfostermusic.co.uk for more info about their tour. 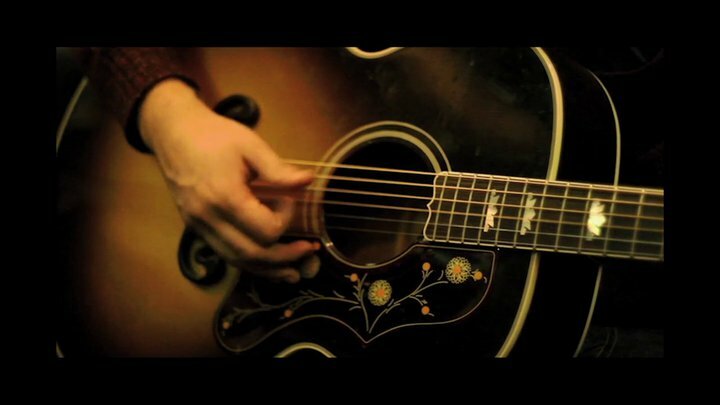 Sam Bradley’s new website is currently under rehab. And if you like my blogs, please subscribe to them!